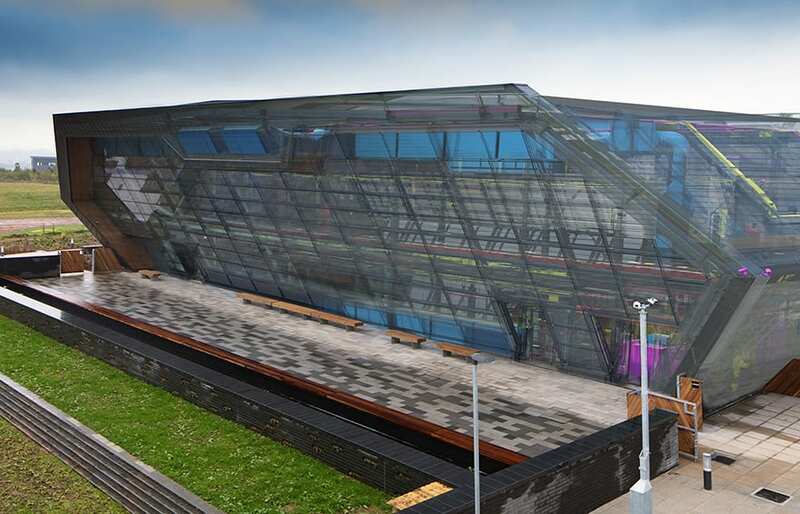 This cutting-edge 3,000 sq m facility located on Exeter Science Park will house a £97m supercomputer weighing 140 tonnes, which will perform 16,000 trillion calculations per second as part of efforts to better understand the workings of our climate. Next door, the world’s brightest and best scientists will gather in the two-storey Collaboration building – a hexagon-shaped construction inspired by patterns in computer-circuitry and turquoise neon-lights in the movie Tron. 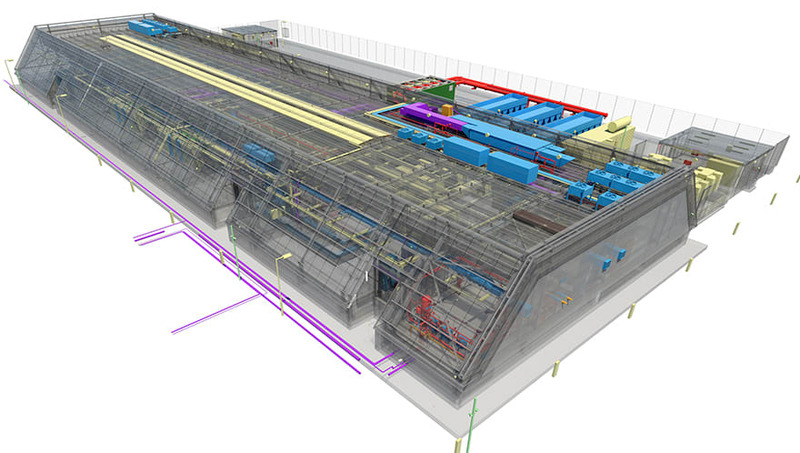 The futuristic nature of the facility drove the brief to deliver a full BIM Level 2 project to comply with the latest suite of BS and PAS 1192 standards. 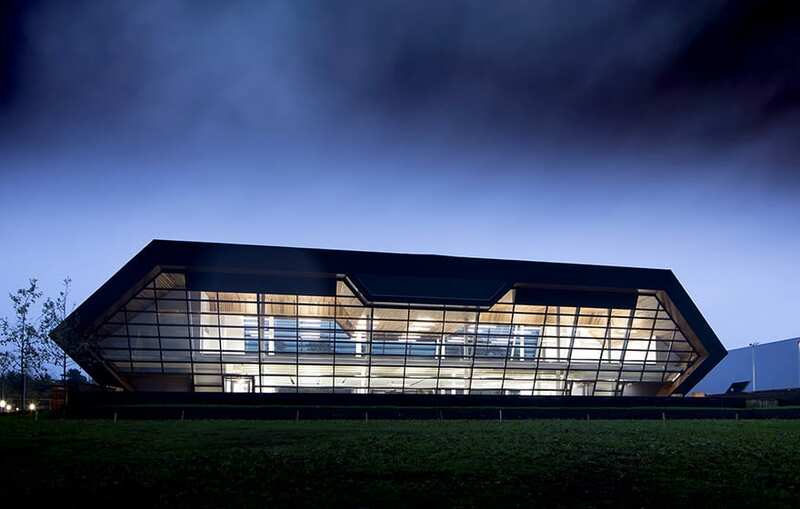 Stride Treglown led the entire BIM process, from RIBA Plan of Works Stage 3 to completion, acting as lead BIM coordinator and lead information manager. 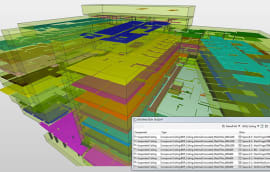 The architect spent a long period of time developing “rule sets” in Solibri to optimise the clash detection process for architecture, structure and M&E models, to ensure no corners were cut. All coordination errors were uploaded to the online server “BIM Collab”, which streamlined clash reporting by allowing each team member to download clashes directly into Revit to rectify and synchronise back to the cloud. 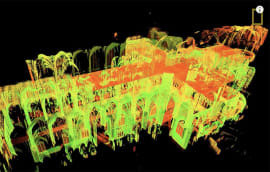 Beyond design coordination, the Met Office wanted to optimise facilities management by adopting a COBie deliverable with a data-rich 3D model and supporting digital documentation. Stride and main contractor Willmott Dixon engaged with the client early on to develop a set of Asset Information Requirements and establish important items in terms of maintenance and operation post-handover, the level of detail and information required in the model. The supercomputer IT hall features a large amount of M&E equipment – services contractor NG Bailey sourced the majority of information and model objects from suppliers and product manufacturers. In cases where 3D models not available, Stride or NG Bailey developed place holder models with data attached so everything could exist in the native Revit model. 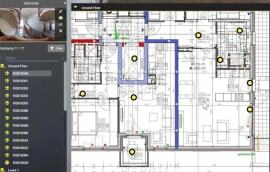 A key challenge was to develop a manual workflow to transfer COBie information and data into Revit. The COBie Toolkit extension for Revit was used to export Excel spreadsheets, with all relevant parameters for each category in the BIM model, such as doors, walls etc. Willmott Dixon then collected the relevant data from manufacturers and entered it manually into the spreadsheets. The software tool CTC Suite then automatically pushed the Excel data back into Revit. 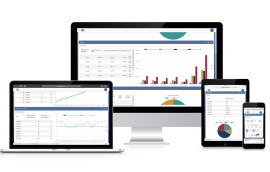 The end result is one of the few fully-integrated COBie exchange 6 reports in existence, containing information such as bar codes, serial numbers, warranty start dates, replacement costs, and other extra parameters not covered by COBie.